This page includes a number of projects of various sizes that I've either completed, or am still working on. 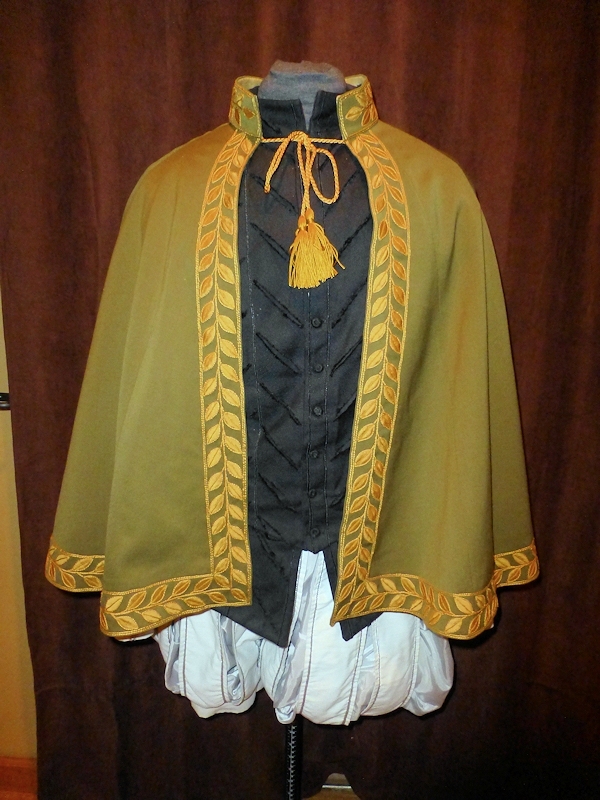 My most recent project was to make a cloak to give to a friend when he was elevated to the Order of the Laurel. 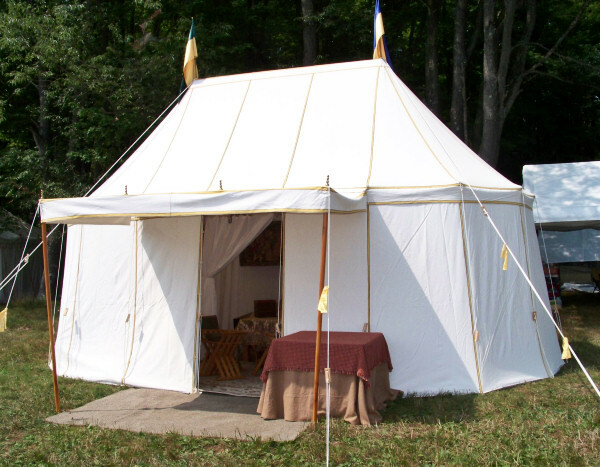 My most significant project to date is the Renaissance pavilion that I made, along with my husband Gerard. My most recent A&S faire project, for 2014, was a detailed study of the French Hood. 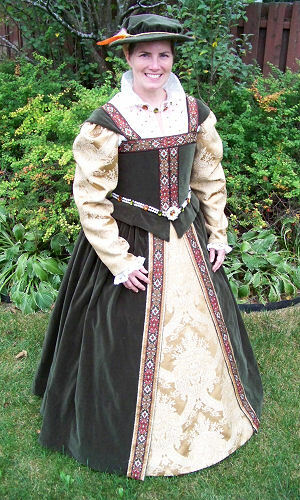 My entry to the 2012 A&S faire was a Tudor Lady's Ensemble. 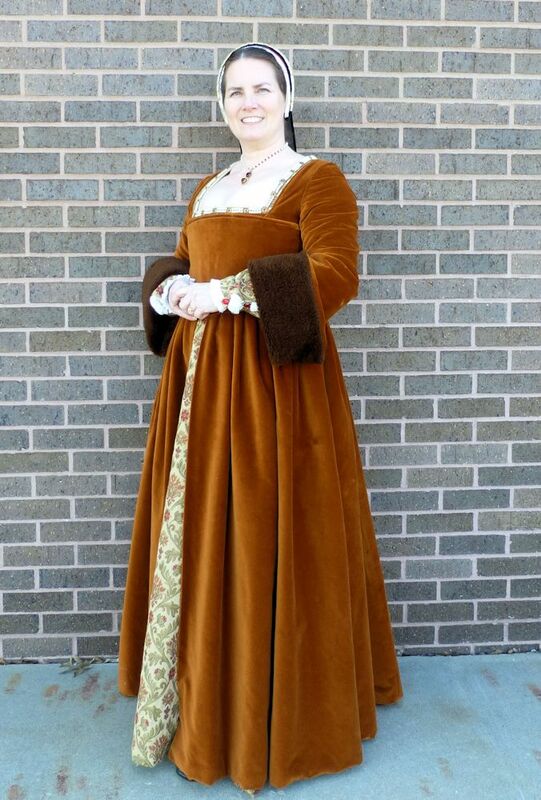 My entry to the 2013 A&S faire was my daughter's Tudor Girl outfit. Another sizable project that I've started working on is a Jacobean Jacket. 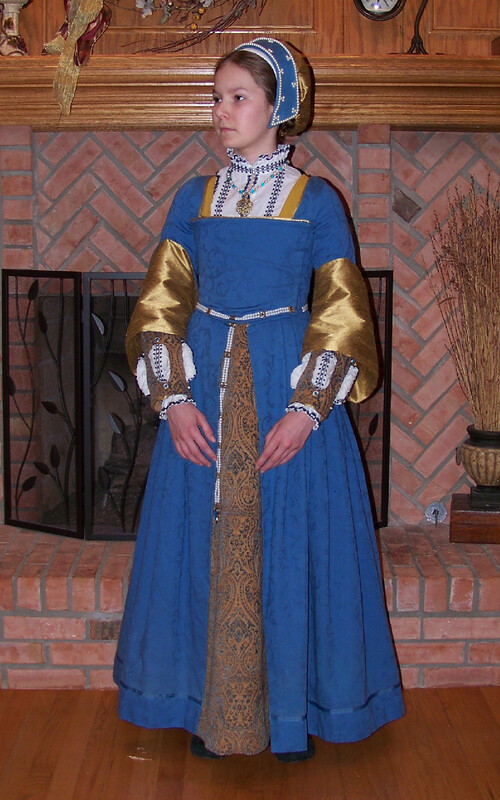 The picture shows the first version, which was made from a pre-embroidered linen fabric. A fun project I did in 2009 was called the Iron Dress. 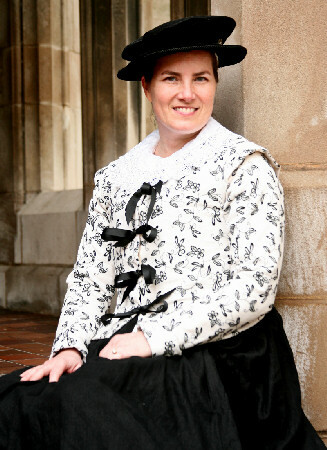 This project is a competition created by a group of costumers that use patterns created by Margo Anderson. I've also recently started doing illumination and calligraphy. 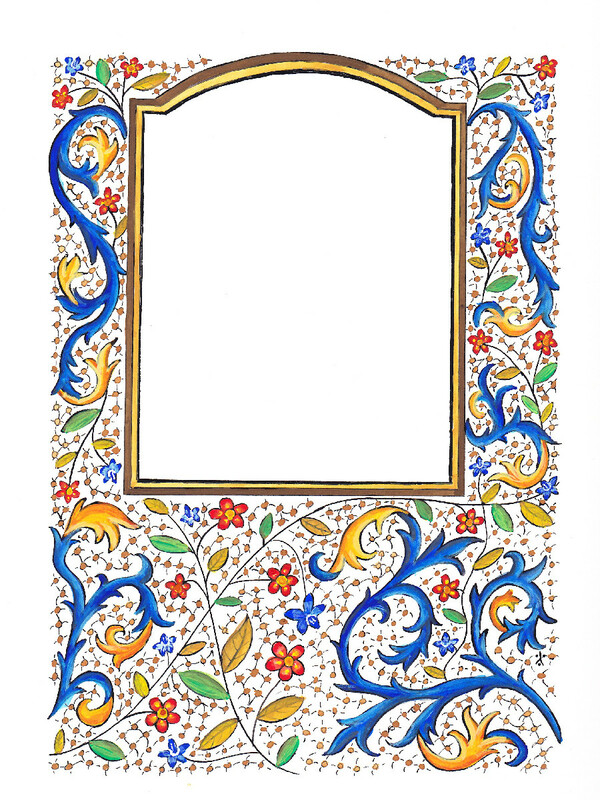 I've only done a few scrolls so far, but I really enjoy it and hope to create more scrolls to be used for court awards.